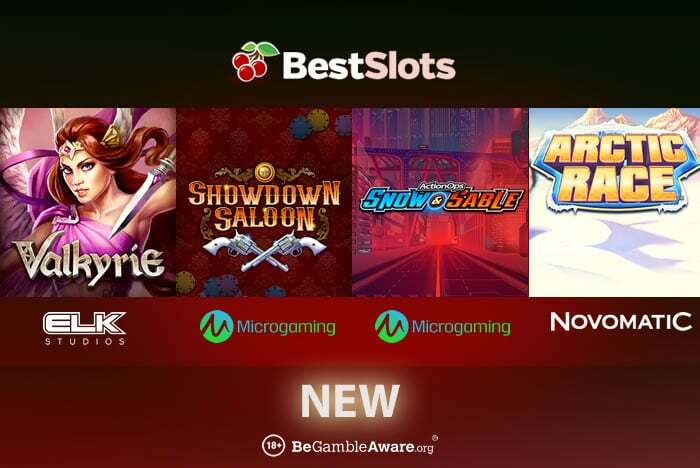 Novomatic, ELK Studios and Microgaming have all released new slot games – read about Arctic Race, Valkyrie, Action Ops: Snow & Sable and Showdown Saloon. Powered by Novomatic, Arctic Race is a 5 reel, 243 ways to win game which has a wintry theme. Look out for the adventurer character as filling the reels with him will give you a 4,000 times stake payout. The main attraction is the Trophy Respin feature – here, only trophy symbols appear. Each of them rewards you with a cash bonus of up to 100 times your stake. Each trophy also resets the free spins tally to 3 for plenty more free spins which means more cash prizes. Powered by ELK Studios, Valkyrie is a 5 reel, 1,024 ways to win title with a Norse mythology theme. Joining love goddess Freya and 4 Valkyries, it comes with a Valhalla Free Spins feature where unlimited free spins can be won – you’ll also get Bonus Spins where Freya can apply 3 bonus features to give you sticky wilds, wild reels and epic symbols up to 3×3 in size. There’s up to 5,000 times your stake to be won on every single spin/free spin. Powered by Microgaming, Action Ops: Snow & Sable comes with 5 reels and 10 paylines. With a futuristic theme, it benefits from stacked wild symbols in the base game. It also offers you a Free Spins feature where unlimited free spins are up for grabs. There’s 2 wild reels applying on every free spin for payouts of up to 1,000 times your stake. Also powered by Microgaming, Showdown Saloon is a 5 reel, 15 payline offering with a Wild West theme. There’s a Mystery Stacks feature where 1 symbol replaces the stack of Mystery Symbols on each reel for bigger wins. There’s also a Re-Spin feature where triggering stacks lock in place with re-spins to follow meaning you can get 5 matching full stacks. Finally, there’s a Free Spins feature where you can play with up to 15 free spins with the Re-Spin feature also applying. For more new slot games, visit our Slot Games section.